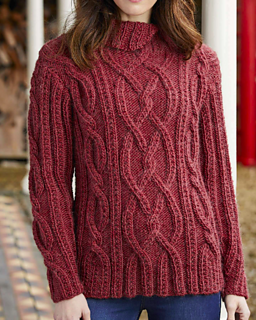 Soft, fluffy, warm and stylish, this jumper is top of our knitting wishlist this winter! 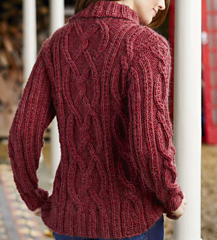 Sarah Hatton’s design features smart cables combined with broken ribbing to create a pattern that really stands out. 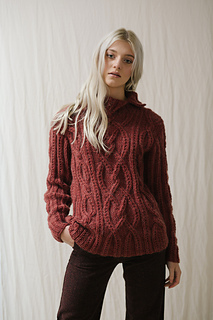 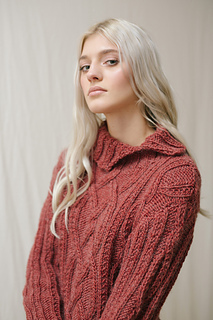 She has added a split collar for a modern touch, and has knitted her jumper using Rowan’s chunky Cocoon yarn, which comes in 24 sophisticated colours. 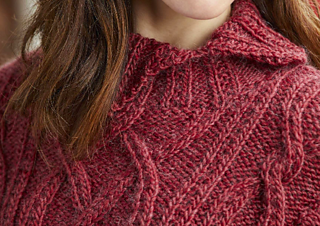 14 sts and 16 rows to 10cm over st st on 7mm needles. 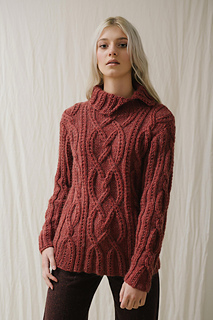 17 sts and 16 rows measured over cable pattern on 7mm needles.